Happy Friday from the slackline! 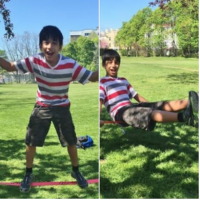 Always a favorite, the slackline offers a fun way to build balance and agility -- especially on a beautiful spring day! Check out this Fun Marathon Preview on WPTZ NewsChannel 5! We're looking forward to celebrating with United Way of Northwest Vermont this evening - and bringing along one of our favorite, long-time mentors as a guest. Mentoring, along with our other core programs, relies on the generous supporters of the United Way. 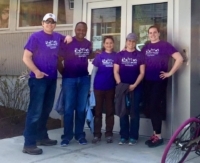 Thank you Saint Michaels’ Volunteers! Thank you to this hardworking volunteer crew from Saint Michael's College for overhauling our playground gardens this morning! King of the Court tennis sessions and the 3rd Annual Backyard Classic. Tuesday, August 27.